Synopsis, Our Opinion: With all the taut freshness this wine exudes it’s a FANTASTIC Pinot Grigio that’s an absolute bargain. 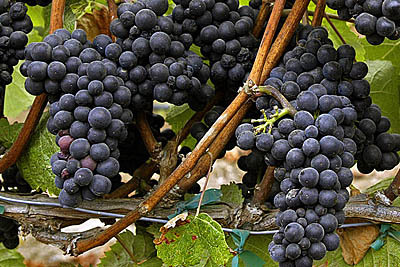 Producer/Winery: C.V.T SRL-AL668; Torton, Italy. Paired With: Ham and broccoli quiche with sharp cheddar cheese and onion; Caesar style salad with lots of garlic and home made artisan bread. Chilled before drinking. Crystal clear and colorless. Fresh green apple, spring daffodils in still morning air, a bowel full of lemons and crab apple blossom aromas. Smooth, crisp and refreshing mouth-feel. Right from the first taste to the last it was dominated by a dusty mineral you could chew on, with green apple and hints of lemon flavors that continued through a long, dry and citrus tasting finish and ended with a tart aftertaste. Fresh and light as snow flakes dancing in a field of spring bulbs. Clearly not the traditional Pinot Grigio we used to drink in the Piazza Navona every summer when Vicky was working in Pompey…this had lots of exhilarating zing and a delicious mineral backbone. 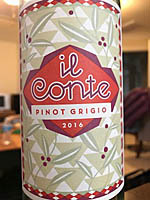 At only $11 this Pinot Grigio gets four thumbs up from us and with all the taut freshness this wine exudes it’s a FANTASTIC Pinot Grigio that’s an absolute bargain. Photo from the Monterey County Herald, Vern fisher. Imported by: Polaner selections; Mount Kisco, New York.